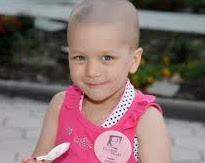 Give Kids the World, a nonprofit “storybook” resort for children with life-threatening illnesses and their families, has teamed up with Wyndham Vacation Ownership (WVO), the world’s largest timeshare ownership company, to launch an “Extreme Village Makeover” at Give Kids The World Village in Kissimmee, FL. Pamela Landwirth, president of Give Kids The World, and Gary Rall, vice president of resort renovation and design for Wyndham Vacation Ownership, kicked off the project at the 2013 Commercial Construction and Renovation Summit last month, led by David Corson, publisher and editor of Commercial Construction and Renovation magazine. The Extreme Village Makeover, scheduled to take place January 12-25, 2014, will renovate 100 of the 140 villas at Give Kids The World Village, updating the whimsical accommodations for families visiting for a week-long, cost-free fantasy vacation to upgraded hospitality standards. Construction will last two weeks with crews on-site 24 hours a day. The scope of work will include cosmetic and structural upgrades including: wood replacement, stucco and drywall repair, tile work, installation of new countertops, fixtures and crown molding, exterior and interior painting and electrical updates, just to name a few. “Give Kids the World is an amazing organization and we’re very excited to be a part of this monumental project,” said Rall. “We need a lot of people to make this vision a reality. At this point, we’re calling all members of the construction and design industry to come forward and join us in making a difference by donating or deeply discounting their products, expertise or time. This will truly be a once-in-a-lifetime experience, helping families of children with life-threatening illnesses for decades to come,” Rall said. “We couldn’t be more excited about the Extreme Village Makeover, especially since it will be completed right before the 25th anniversary of the Village,” said Landwirth. “With more than 185 resorts across the country, Wyndham is truly an expert at large-scale renovation and design projects. We are extremely grateful to have their team spearhead this monumental initiative which will provide an updated ‘home away from home’ for thousands of families every year. Their dedication is greatly appreciated,” Landwirth said. 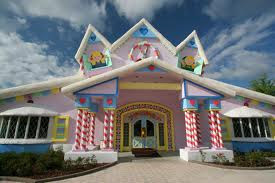 Give Kids the World Village is a 70-acre, non-profit resort in Central Florida that creates magical memories for children with life-threatening illnesses and their families. Give Kids the World provides accommodations at its whimsical resort, donated attractions tickets, meals and more for a week-long, cost-free fantasy vacation. With the help of many generous individuals, corporations and partnering wish-granting organizations, Give Kids The World has welcomed more than 120,000 families from all 50 states and over 74 countries.